Warriors through the ages have discovered the secret of a winning mindset: win the first battle – in your mind – then you will win every other battle in life. Remember: SEALFIT is more than training the body. You must embrace the whole person concept and see yourself as a body-mind-spirit. You’ll train these simultaneously, leading to optimal performance and greater success in all your endeavors. We don’t do “easy” at SEALFIT. Training the body is simple compared to training the mind. One of my favorite mantras is, “where the mind leads, the body follows.” Lead your mind to victory that you can see, feel and believe, and your body will follow you to hell and back. 1) Clear your mind. Eliminate distractions and allow thoughts of daily this’s and that’s to fall away. Develop a deep, positive concentration on the task ahead of you. 2) Know your “why” and your strategy and tactics. Modify them if needed based on changing conditions. 4) Charge your internal batteries for optimal performance. 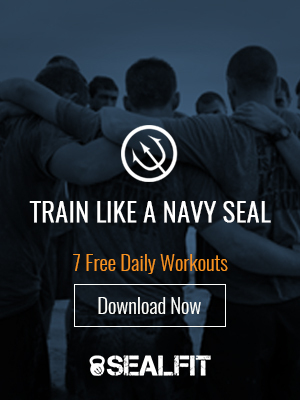 These four have been discussed at length in this BLOG and are an integral part of SEALFIT and Unbeatable Mind basic training. Good luck with your challenges and may you always enjoy a winning mindset – the first step to victory!